When John Wick came out in cinemas in 2014, nobody could have predicted its meteoric rise to cult status. A film that in its promotion which seemed to many to be no different to the standard action movies that we get on a regular basis. The film’s premise is simple, a retired assassin is forced out of retirement when his wife’s final gift to him, a dog, is brutally murdered in an unprovoked attack. He then goes on a rampage to get revenge for the one thing that seemed to give his life meaning after his wife’s death. So with the success of the first film comes the inevitable sequel. Very little time has passed between the end of the first film and the start of Chapter 2. In that time, John has got a new dog and is starting to move on. That all comes crashing back down to earth when a figure from his past demands a favour in return for getting him out of the assassin world. 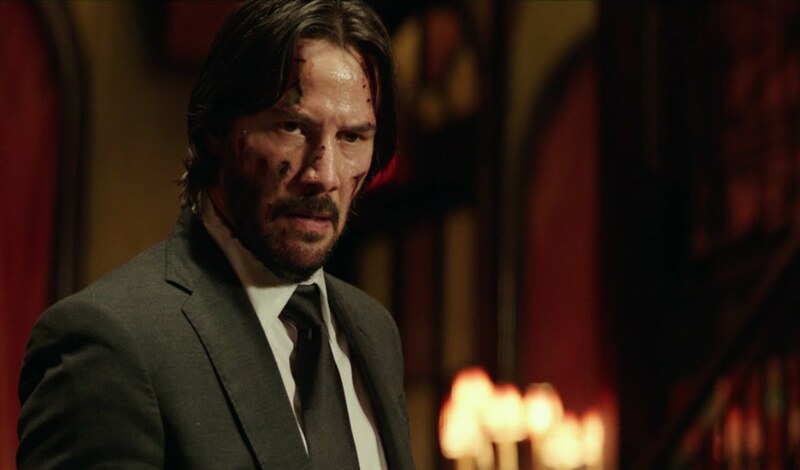 The film is much the same in terms of the action and relentless violence as John Wick, or “The Boogeyman” as he is more commonly known, travels around the world attempting to complete his task. The opening scenes are breath taking and will leave your heart racing as the action and brutality unfolds. This is a man on a mission and he will use any tool at his disposal to beat, torture and kill anyone who stands in his way. Throughout the film, the action comes at you thick and fast, as would be expected from the first one and there isn’t much time to dwell on the plot. Keanu Reeves embraces his inner action hero that is starting to become his standard role and all the supporting actors put in a strong performance. The appearance of Lawrence Fishburne evokes memories of The Matrix films and this did tend to distract from the scene in question. The real star is is Ruby Rose, most famous recently for her performance in the Netflix show, Orange is The New Black. Playing the role as a mute assassin she still manages to put in a tremendously visual performance without speaking a word. While the film doesn’t quite live up to the high standards set by the first part, it takes on a new path and attempts something new and original. There are some standout scenes, and it does hold up well to the original film. In other films, the gratuitous violence could distract from or even nullify the plot, but this film, as with its predecessor manages to get the balance right. If this film is successful, (and all indications seem to be that it will), we are sure to expect John Wick: Chapter 3 in the near future, and I feel there is a lot still to expand on in the universe. With the film perfectly set up for a third installment, it surely won’t be long before we see Keanu kicking, fighting and shooting his way out of trouble again. John Wick: Chapter 2 (2017), directed by Chad Stahelski, is distributed by Warner Bros. Pictures. Certificate 15.